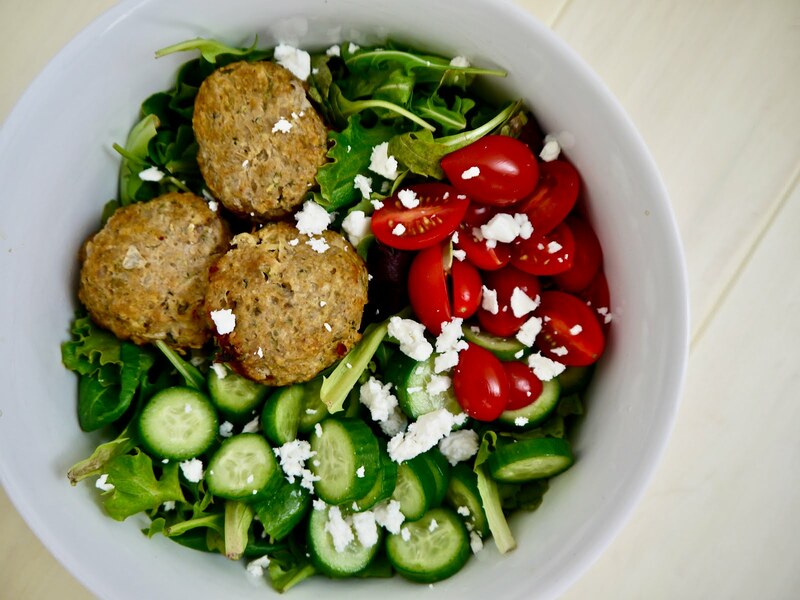 These delicious meatballs have the added surprise of veggies.....and along with that comes fiber, vitamins, and minerals! Don't "hide" your vegetable additions: boast about them! Let your family, kiddos, co-workers, etc know how fantastic veggies can be! This recipe makes large meatballs- or a large quantity of smaller meatballs- which makes them great for freezing (on a sheet pan in the freezer, then transfer to a gallon size freezer bag) and reheating for meals or lunches later. Combine all ingredients (by hand works best) in a large mixing bowl. Cover and refrigerate for 1 hour (or up to one day). Preheat oven to 400 degrees. Spray a muffin pan (regular size) with olive oil spray. Use a 4 Tbsp cookie scoop (or measuring cup) to scoop out mixture and use your hands to roll into balls. Place balls into the muffin pan. Note: you may also use a smaller muffin tin for making smaller meatballs; yield will be ~36. Bake for 20-25 minutes, flipping meatballs halfway.